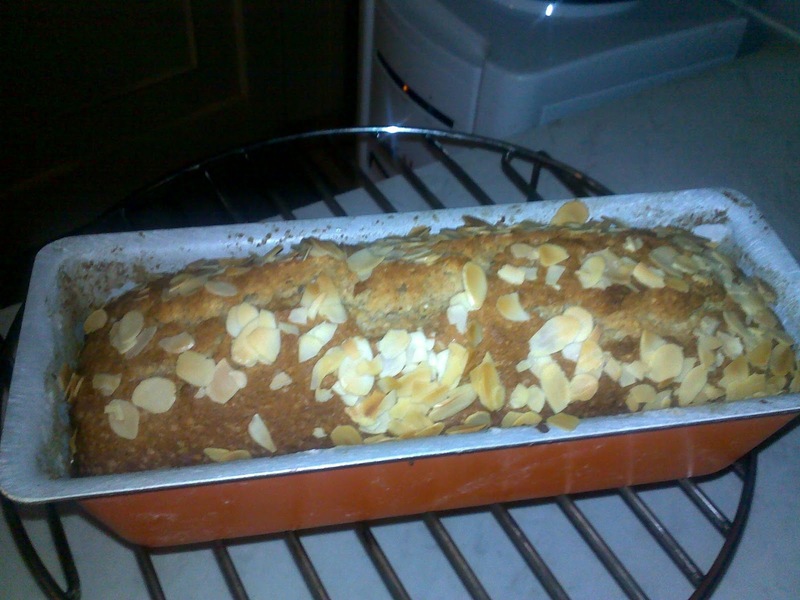 Dear Readers, this is my first recipe post, and for some reason I’m very excited! First of all, let me say this recipe is taken from the Hummingbird bakery’s cook book Cake Days; it was a sweet gift from a sibling who knows I spend too much time searching for recipes online, and I’d like some tried and tested ones. 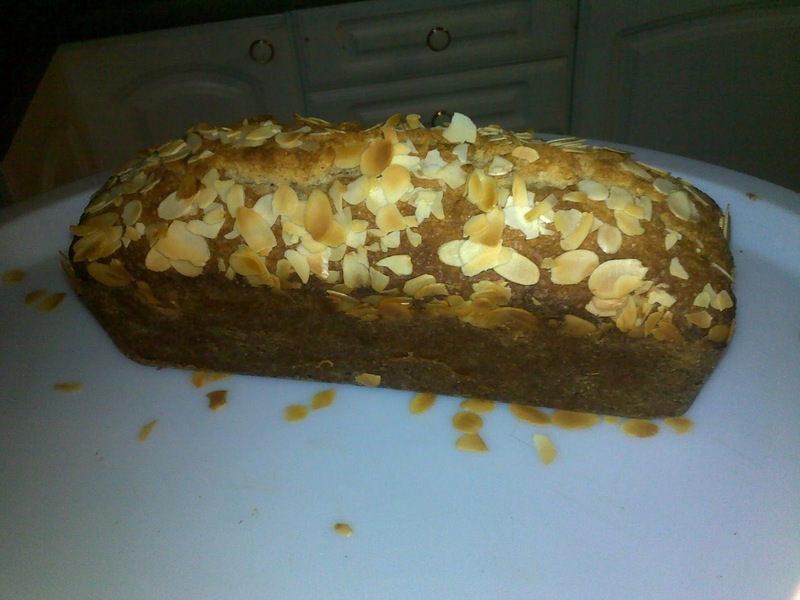 Well, this is the third recipe I’ve tried and the loaf turned out scrumptious, if I do say so myself,its been very well received. P.S Sorry the photos turned out a bit dark, I need to work on my photography skills. 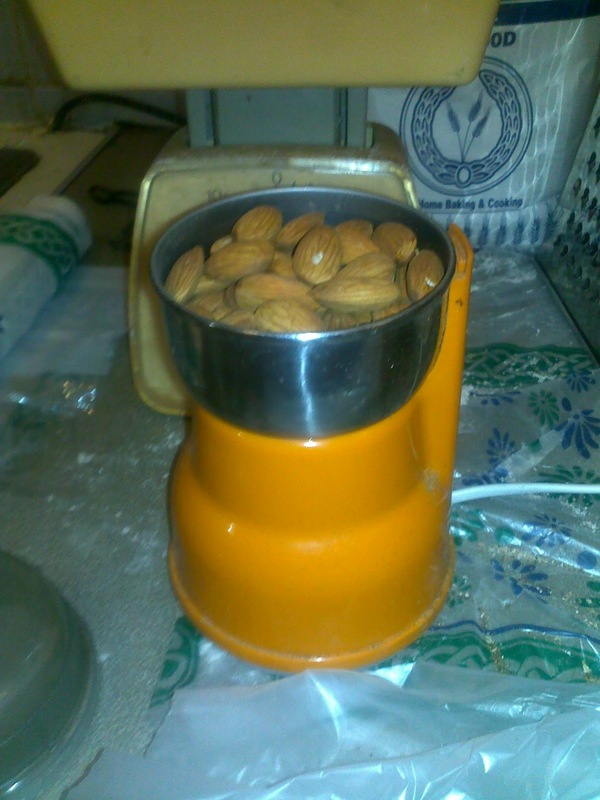 So without further ado, let me get on with the actual recipe. 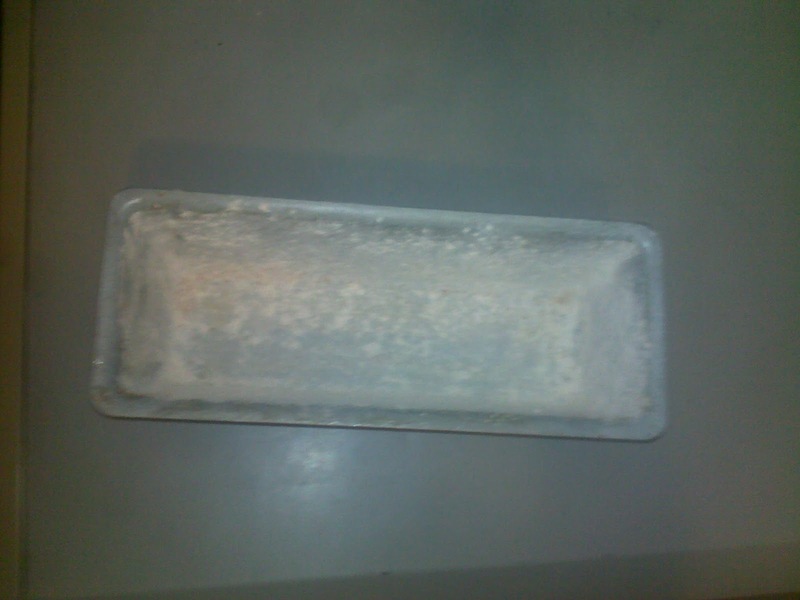 1.Preheat the oven to 170 degrees Celsius/325 F/ Gas Mark 3, then grease loaf tin with butter and dust with flour. Don’t be skimp on the flour, it gives the loaf the beautiful brown crust on the outside. 2. 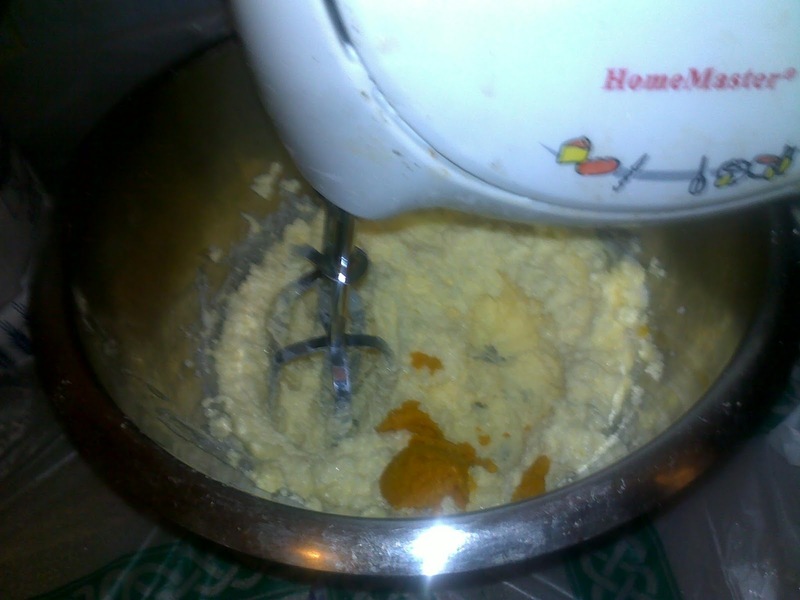 Using a hand held electric whisk or a freestanding electric mixer with the paddle attachement, cream together butter, sugar, orange zest and until the mixture is soft and fluffy. 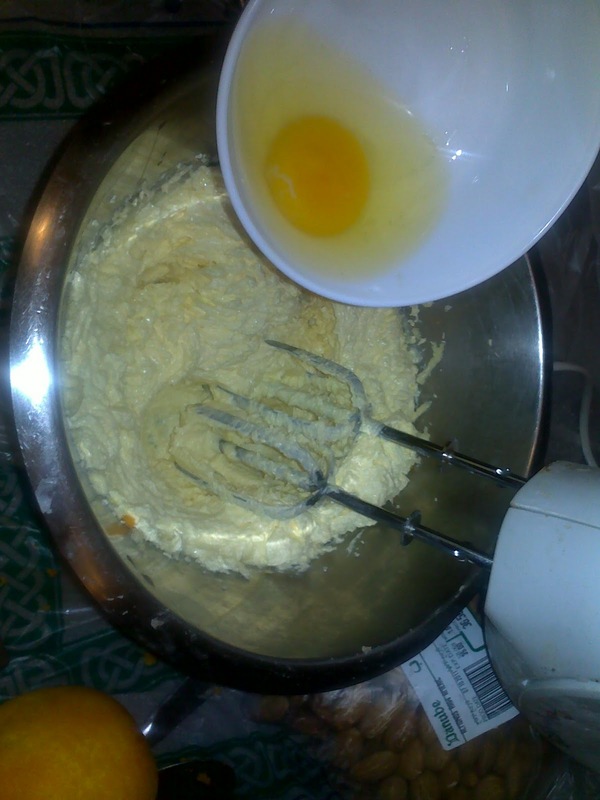 Add the eggs one at a time, whisking well after each addition. Scrape down the sides of the bowl to ensure that the eggs and better are properly mixed in. 4. 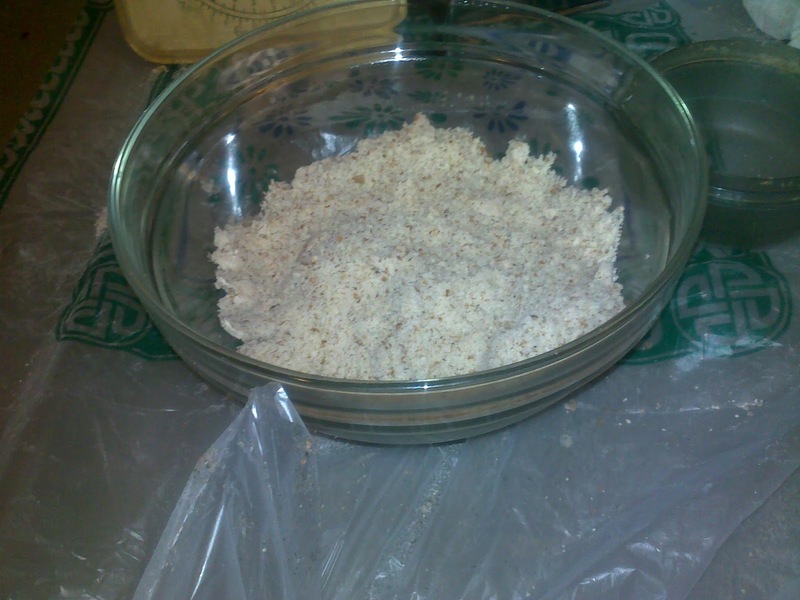 In a separate bowl, mix together the flour ground almonds, and baking powder and salt. 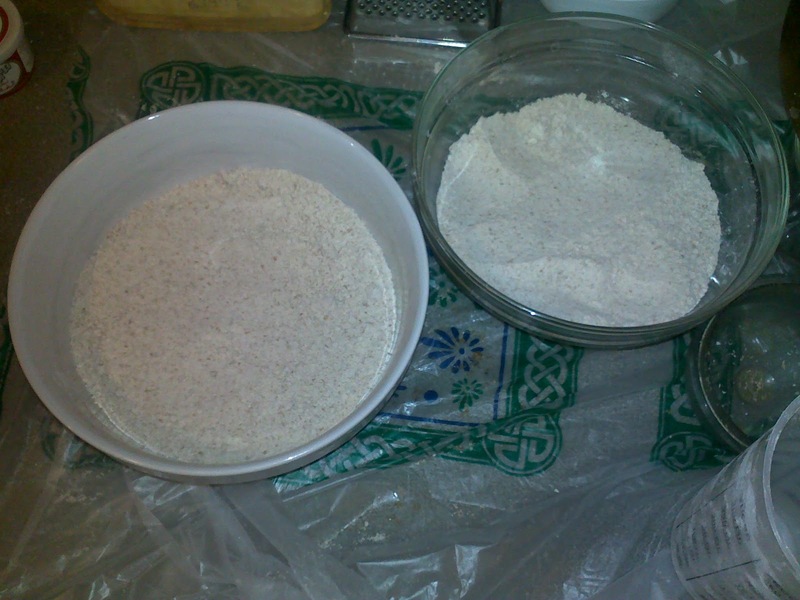 Divide the dry ingredients into 2 bowls. 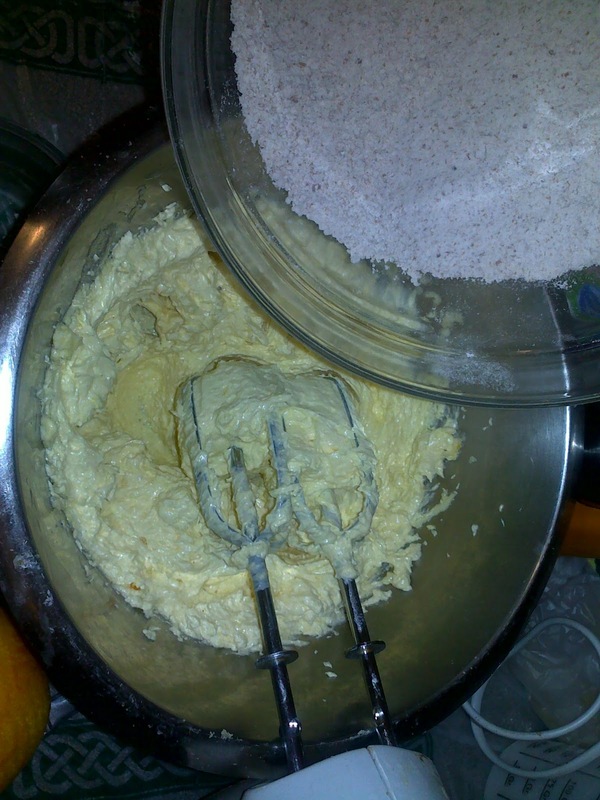 Tip the first bowl into the creamed mixture and whisk on slow speed until just incorporated. Repeat with the second bowl. Next mix in the yoghurt and vanilla essence. 5. 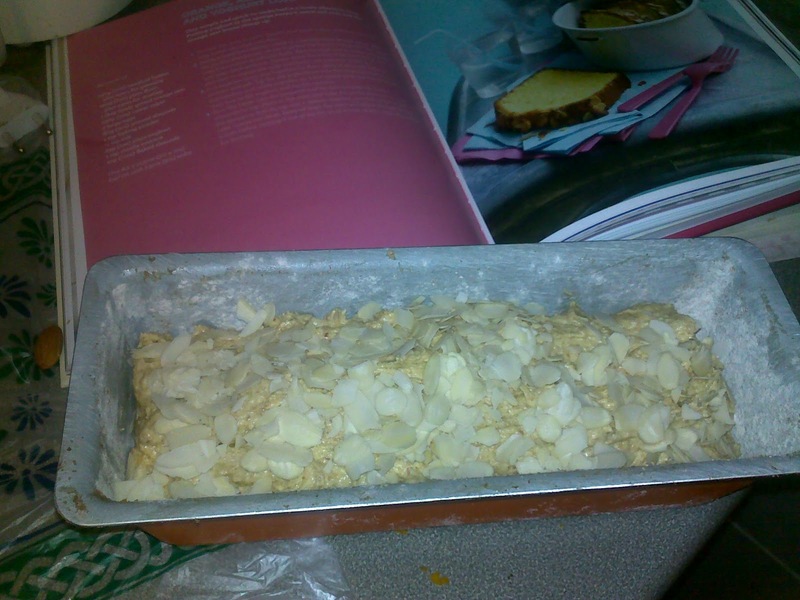 Pour the batter into the prepared loaf tin and sprinkle the flaked almonds on top. Place in the oven and bake for 50-60mins or until the sponge is firm on top and a skewer inserted into the centre turns out clean (it took me 63mins). Remove from the oven and allow the loaf to cool a little before turning it out of the tin on to a wire rack to cool completely. 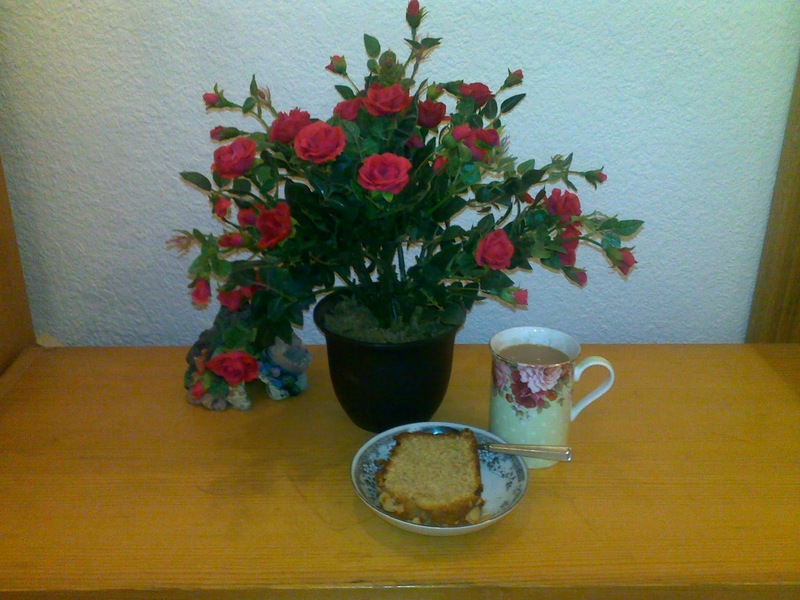 Serve on its own, or with a cup of tea, or mug of coffee. Enjoy and let me know how it turns out for you. Yummy !! 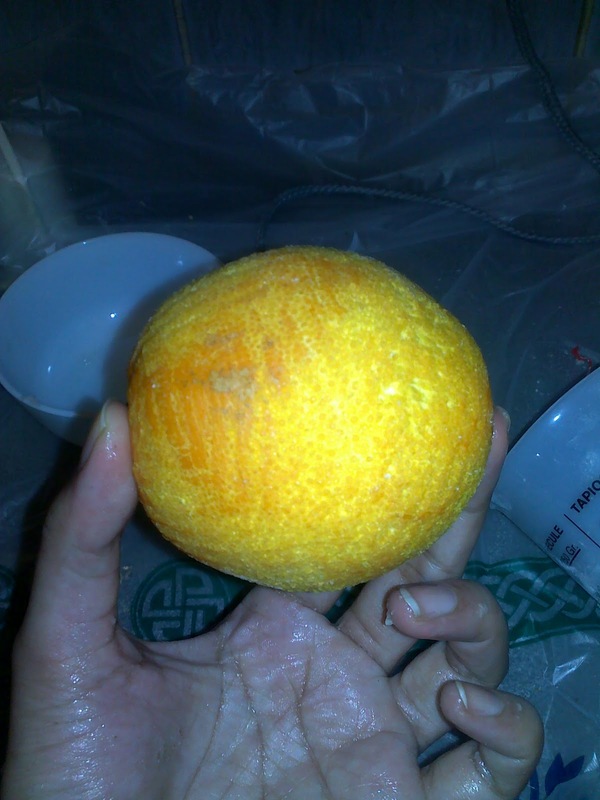 Thanks a lot for sharing this :). Thank you for all your sweet comments Izdiher, katlupe, and Sybil. and the tweets by ashervalinewing and laneduminsanfiv, much appreciated. If you are in Jeddah you can order it in advance (a day or 2) and pick it up, I'm starting a baking business on a small scale :-).